Net Energy Inc. is one of the five companies that make up The Net Energy Group. Each company provides services, information, and support that facilitate dependable transactions of energy trading and risk management demands. With customers from over 350 companies and 2500 users worldwide, the Net Energy Group can be trusted to provide exceptional solutions for your energy trading needs. Founded in 2005, Net Energy Inc. is the original electronic crude oil brokerage and trading platform in Canada. Net Energy is recognized by the Alberta Securities Commission as a Crude Oil Derivatives Exchange for financial products. Headquartered in Calgary, Alberta, Canada, our knowledgeable and experienced trading desk is continually developing and expanding into new markets and currently offers over 500 physical energy and financial products available for transacting in real time. Net Energy connects motivated buyers and sellers in a transparent, reliable trading forum, and flows trade, settlement, and index data directly into customers’ back-office risk, credit, and accounting applications. Net Energy International provides professional and management services to the Net Energy group of companies. Headquartered in Calgary, Alberta, Canada, the company is a diverse team of experts with a wide array of business experience. From its intial vision to launch the first electronic crude oil trading platform in Canada, to working with commodity exchanges and government agencies, Net Energy International has a proven track record of success. Codeli Technology Inc. develops, manages, and supports the technology platforms and tools for the Net Energy Group. Ne2 Pacific will utilize a brand new web-based order system for financial and physical energy markets. The development team at Codeli employs technology and exchange experts that have experience building numerous leading-edge software applications around the world. For more information, visit www.codeli.com. Ne2 Group, LLC is located in Houston, Texas, USA. With direct access to energy companies situated in the US Gulf Coast region, Ne2 Group is well positioned to provide introductions and facilitate transactions between Asian buyers and North American sellers. Both Net Energy and Ne2 Group are registered as Introducing Brokers with the U.S. National Futures Association. High standards and compliance with derivatives regulation is a fundamental part of doing business with the Net Energy Group. It has been a long-time goal of Net Energy's to expand into the Asian Energy Marketplace. With the growing exports of North American products into the area, the timing is perfect to establish a presence in the region. Based in Tokyo, Japan, Ne2 Pacific will provide energy market expertise to traders and access to a state-of-the-art commodity trading platform. Net Energy Inc. is the premier crude oil trading system in western Canada. Our unique and innovative Internet based trading screens offer the most sophisticated and trustworthy quotation and trade reporting system anywhere in North America. Buyers and sellers of western Canadian crude oil across North America use our screens daily, making Net Energy the largest volume trading system of its kind. Net Energy's Market Index products have also become a benchmark in trading and market valuation procedures. The Alberta Government uses the Net Energy Index valuations when establishing Royalty barrel pricing. Net Energy has partnered with the Chicago Mercantile Exchange Group in using the Canadian Daily Index as the basis for settlement on the new Canadian Heavy Crude Financial contracts listed on NYMEX (WCC) and cleared through Clearport. Net Energy is the authoritative source for crude oil pricing and trade execution in Western Canada. As a result of the trade volume transacted on Net Energy, we are able to produce exclusive indexes such as the Canadian Daily Index, the NE Monthly Index, the US Daily Index US Monthly Index and NGL Daily Index. Net Energy's Index products have become benchmarks in trading and market valuation procedures for upstream and down-stream producers, as well as trading entities and the Government of Alberta. Mandy began working at recognized electronic commodity exchanges 20 years ago and has specifically been in the energy sector for the past 18 years. Mandy held various roles before joining Net Energy in 2013, including Exchange Operations Manager at Alberta Watt Exchange as well as consultant for Chase Energy Canada on a variety of projects. Mandy was designated the lead analyst on a key project for one of the largest pipeline companies operating in North America. This project led to the successful development and implementation of a custom software application - plus required business process changes - which met the client’s operating and technology standards, and adhered to relevant utilities’ jurisdictional policies. Mandy's primary responsibility with Net Energy is to liaise with business and IT teams. Corrine Fiesel is General Counsel to the Net Energy Group of companies. She has practised for over 18 years primarily in the areas of corporate and securities law for a wide array of energy and technology companies in Alberta, British Columbia and internationally. 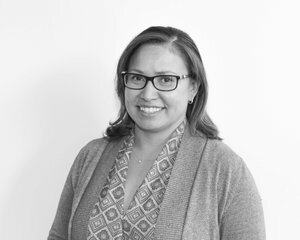 She has worked for derivatives exchanges and clearing houses and has extensive experience in dealing with the securities regulators in Canada and the U.S.. Corrine is a graduate of the University of Calgary Law School and has a Master of Laws from Osgoode Hall in Toronto specializing in securities law. Terry spent 18 years at RBC Royal Bank in various Management positions in Retail Operations and Business Lending, prior to joining Net Energy in 2007. She holds a Bachelor of Commerce(Finance) from the University of Alberta. She served as Net Energy’s Manager of Operations for 8 years, prior to transitioning into this role. Arsheela is a Chartered Accountant, a Chartered Financial Analyst and holds a Chartered Certified Accountant designation from Oxford Brookes University in the UK. She has been working with the Oil and Gas industry for over 12 years. She has worked in various roles from implementing SAP ERP systems to acting as Financial / Business Analyst to Finance Manager / Controller. She has extensive experience in derivative accounting and financial reporting, and is well versed with International Financial Reporting Standards and US Generally Accepted Accounting Principles. Paul has over 13 years of experience as a broker in both the commodity and financial sectors. Paul’s broker background began in bonds as he negotiated government and corporate debt transactions as well as interest rate derivatives. Paul joined Net Energy in February 2009 and is responsible for defining and executing Net Energy’s North American crude oil business strategy and managing daily brokerage operations. Paul recently moved to Houston to expand Net Energy’s industry leading physical and financial trading platform to all Gulf Coast markets. Paul graduated from the Bachelor of Commerce Program at Queen’s University. MARC BENNETT – LEAD ENERGY BROKER - NET ENERGY INC.
Marc Bennet has been working as an Energy Broker with Net Energy since 2013. Marc is currently the Lead Broker in the Calgary office and is responsible for executing Net Energy’s North American crude oil business strategy and managing the daily brokerage operations. Prior to working at Net Energy Marc worked in the Alberta Power industry for 12 years in various business development and account management positions. CHERYL GOODWIN – DIRECTOR OF MARKETING - CODELI TECHNOLODGY INC.
Cheryl’s energy sector experience started in 1990 at Nova Gas Transmission working on meter station, pipeline, and compressor station construction projects. Eventually, she moved into a customer service role and was part of the initial team at NCL (Dynegy Canada) as a Gas Marketing Representative. As Dynegy grew, she took the opportunity to work in crude oil marketing and transportation logistics. She returned to the upstream side of the business as a Crude Oil Representative when Marathon Canada bought Tarragon Oil & Gas in 1998. After a career sabbatical, Cheryl came back to the sector in 2013 as Director of Business Development at Egistix Corporation, a commodity management and logistics software company. In this role, she further expanded her knowledge of energy logistics, whether the product moved on rail, through pipe, or with a truck. She led the Technology Adoption Program between Egistix and Petrotranz and implemented numerous software systems within the sector. Cheryl joined the Net Energy Group in 2017, as Director of Marketing for Codeli Technology Inc. She is constantly seeking opportunities to integrate systems and provide exceptional technology solutions for the energy sector. Edward Man – Senior Developer - Codeli Technology Inc.
Edward has over 25 years of experience developing various system software for different exchanges, including Winnipeg Commodity Exchange (WCE), Sydney Futures Exchange (SFE), London Futures Options Exchange (FOX), New York Mercantile Exchange (NYMEX), AgraLink/Alberta Watts Exchange, Natural Gas Exchange (NGX) and Net Energy Exchange. Prior to joining Net Energy Exchange in 2013, he was at Natural Gas Exchange for 16 years. Ed graduated from the University of Manitoba with a B.S. in Computer Engineering. Joan has over 25 years of experience as a software developer. 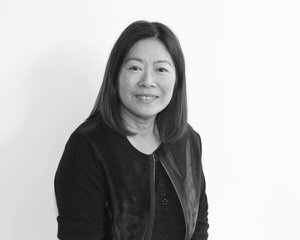 She has developed various trading, clearing and auction systems for futures and commodity exchanges, including Sydney Futures Exchange, New York Mercantile Exchange, AgraLink/Alberta Watts Exchange, Natural Gas Exchange, and Net Energy Exchange. Joan worked for the Natural Gas Exchange in Calgary for 16 years prior to joining Net Energy in 2013. Joan graduated from the University of Manitoba with a Bachelor of Science in Computer Engineering. Yu Koyanagi worked for Asia's largest OTC Broker, GINGA, for nine years. Yu covered the Japanese petroleum product market, participated in the launch of the Dojima Exchange and TOCOM Window for Oil spot market. He helped develop an LNG contract. During this time, he was also the managing Director of JAPAN OTC EXCHANGE, a joint venture with TOCOM. Yu joined the Net Energy Group in January 2018 to help launch the Ne2 Pacific platform. Net Energy Inc. is always interested in individuals interested in us. If you would like to submit a resume we will happily review it and consider all applicants for potential openings.